While you’re winding down to the Christmas holidays, we’re busy working like little elves to organise an immense Refreshers’ programme for your return. 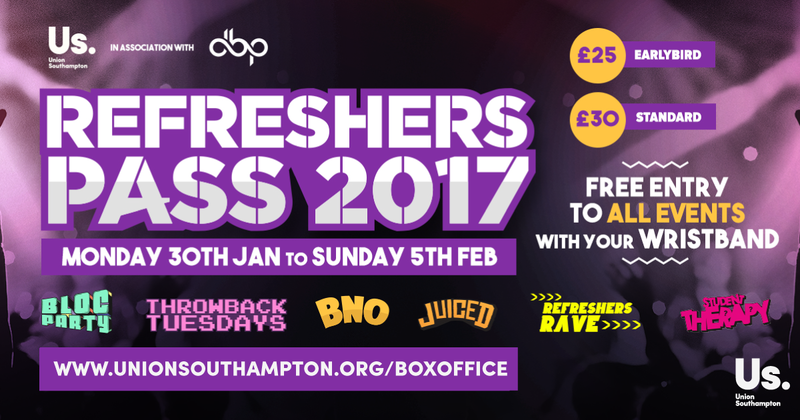 Refreshers’ Week is like a mini Freshers’, where you can relax and unwind after your deadlines, exams and hand-ins and enjoy some time to party with your friends. Unlike September, you’ll have none of the worry about making friends and all of the fun! We’ll be holding our sell-out Bloc Party once again on Monday 30 January. Hit Bedford Place for a January blowout, this time with hot tubs, balloon releases, free photobooths and much more!